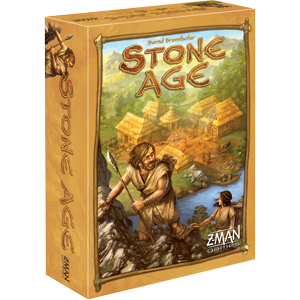 Order Stone Age Anniversary at your local retailer or online through our website! At the dawn of civilization, our early ancestors faced a constant battle for survival. Over time, they discovered new tools and techniques to improve their lives and the lives of their descendants. For ten years, fans of Stone Age have taken on the role of a human in this bygone era. Beginning with archaic tools, workers have been carefully sent out to collect wood, stone, and gold to attain higher levels of knowledge, build sturdier structures, and create a solid foundation of human civilization. Working under the bright, warm sun of summer, the tribe has grown and thrived. Now the winter wind has blown in and the biting cold spreads. A dusting of crisp, white snow covers the ground. The kids marvel at the snow, sliding on the slick surface and throwing snowballs at each other. Winter is not all fun and games though. Wild animals stalk the edge of the camp, waiting for their opportunity. The snow continues to fall and temperatures continue to drop. The tribe must quickly work to gather resources, insulating buildings for warmth and storing food to avoid starvation, in order to survive the long winter. 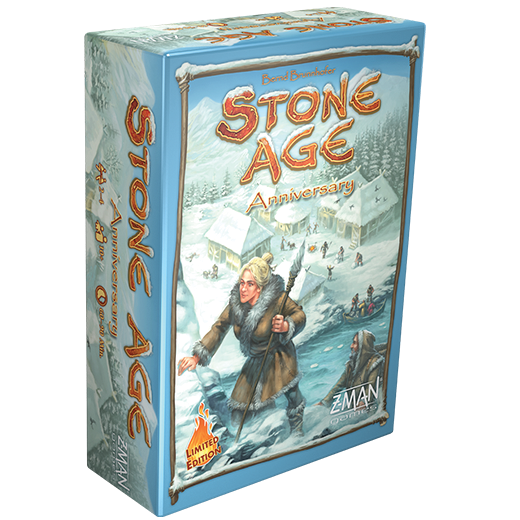 Stone Age Anniversary edition celebrates ten years of this beloved worker placement game. This limited edition features a beautiful double-sided board, upgraded components, and new options for playing in the bitter cold of winter. Stone Age Anniversary will be $79.99 and release in Q4. Prepare for winter by pre-ordering your copy through our website or your local retailer. 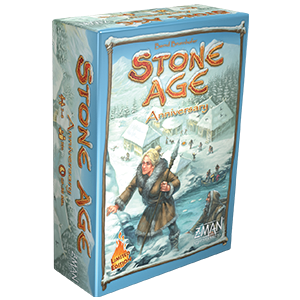 Stay tuned to our website for upcoming articles diving into more details about Stone Age Anniversary.